It wasn't until we welcomed our girls that my husband and I realized that date night would be hard to do, if we hoped to find a babysitter and leave the girls for a few hours. With my parents living far away, we didn't have the luxury of dropping the girls off with them to enjoy dinner or a movie out. And, when it comes to a babysitter, it is hard to find a reliable teenager or someone who we can trust with the girls. The girls are also not fans of being left with someone they don't know that well, so that also makes it hard to go out and really enjoy ourselves for a couple hours, as we usually find ourselves rushing to eat and get back home to them. We know that making time for just us is important, for our sanity and to keep our marriage strong. So, we try and have a date night once a week, even if it is at-home, after the girls are in bed. And, every few months, if possible, we try and have date night outside the house, but we understand that with the craziness of everyone's schedules and illness that it may be hard to do...but, at least we can still enjoy each other's company at home. In addition to watching movies and catching up television shows together, my husband and I also cook a late night dinner or snack together, enjoy a nice bottle of wine, and sometimes order takeout to enjoy while playing a game. We try to switch things up so that it doesn't get boring. Last Friday night we tried something that we hadn't tried before...a box from Crated with Love. 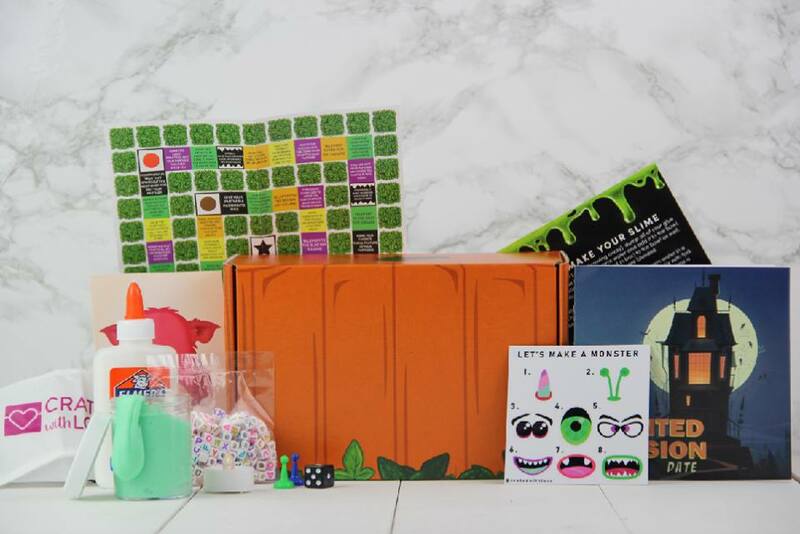 "Crated with Love is a subscription box service that sends couples at-home date nights that focus on strengthening their relationship through activities and games created by our team of experts. Bonus Content: To add more to your date night experience, we offer exclusive monthly bonus content that includes 4 extra activities, recipes, relationship tips, family date night ideas, and even a customized Spotify playlist for your date!" 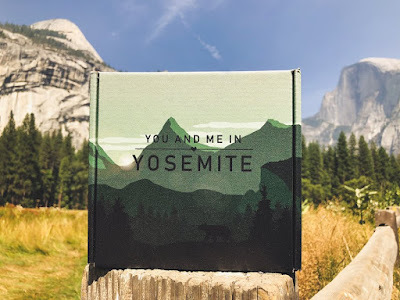 I was sent their "You and Me in Yosemite" box last month, and I was waiting for the perfect time to share this date night in a box with my husband. We have been playing catch up with movies and television shows so I wanted to get through those before I shared this box with husband. When I showed my husband the box, he had no idea what was inside. He didn't expect much as the box was small. But, then when I opened it and started to take out the box's contents, he could see it was jam packed. My husband is not usually a date night in the box kind of guy, and getting him to share his thoughts after a long week especially is hard. But, we both were ready to give this box a try and see what happened. With this particular "You and Me in Yosemite" box, there were four activities for us to complete together. 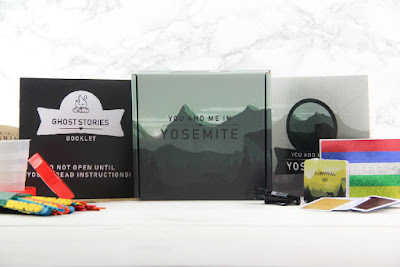 The first one was ghost stories, which were set up kind of like Mad Libs, where we took turns filling in the blanks based on descriptions we were given each campfire story. When we were done, we read the four stories we completed together. It was hard choosing the best story of the 4 as they were all funny and had us laughing. This activity got my husband on board with the box and he was ready to try out the other three activities. The second activity was a s'mores game. I made s'mores as a snack for us to enjoy while we played this card game, which had us building a s'more by earning cards through sharing stories about us as couple using the three words on the back of the cards. You play until all cards are used up, and then the person who has made the most s'mores with their cards is the winner. This really was a fun game, and had us sharing stories which the other forget about our early dating years. The fourth and final activity was "Our Love's Map." Included in the box was a map of the United States on one side and the World map on the other. We also got a sheet of sticker stars, which we placed on different locations on the map, to signify places we have travelled together, where we met, where we got married, etc. As we started placing the stickers, we could see how different cities and locations played a important role in our journey together, and how many places we have been together before and after having the girls. We even added a handful of stickers to places we hope to bring the girls to once they get older, including Savannah, GA. We used to go here all the time before the girls, and this is how our oldest got her name Savannah Rose. It has been over 10 years since we visited, and it would be a nice family trip to plan in the coming years, to show the girls the place we fell in love with and why our daughter has the name that she does. Overall, my husband and I really enjoyed this Crated with Love box. We thought it would be all about sharing sappy stories with one another, but it ended up being a night filled with laughs, fun games, and sharing stories about our journey together. We reconnected and shared memories, and had a blast just being together in the moment. I plan to order more of these boxes, which can be purchased individually, or as part of a monthly subscription service, for my husband and I to enjoy during our at home date nights. If you are looking for a fun new way to change up your boring/stale date nights at home with your significant other, why not consider ordering a Crated with Love box. 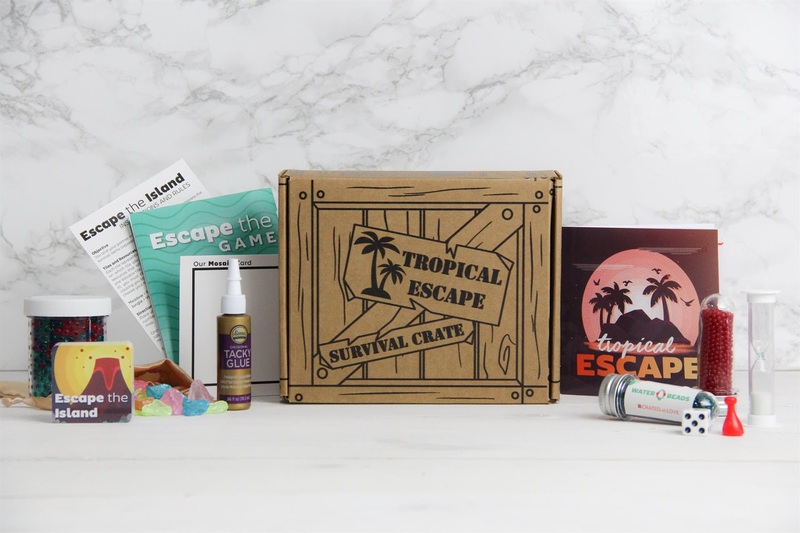 They really are fun, and will have both partners eager to share stories and competing against one another in the games and challenges to get bragging rights as the winner. 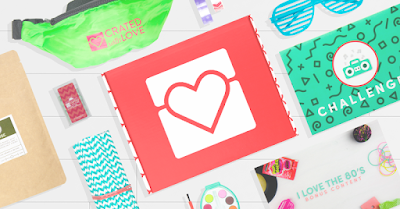 You can learn more about Crated with Love by head over to www.cratedwithlove.com. These sound fun! We like doing unique things for date night. Something like this would be interesting to try!